Why Move Your Goods By Ship? If you’re scratching your head about cutting shipping cost by truck, shipping goods by sea may be alternative. Shipping goods by sea accounts for more than 70% of international commercial trade and is by far the most cost-effective way of transporting large loads over long distances. 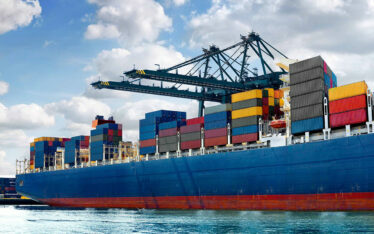 Container ships are used to transport almost all raw materials used in products the world over including coal and other fossil fuels, and foods such as grain, as well as packaged goods. The classic rectangular shape of a standard shipping container used by shipping companies globally owes its success to its standard shape and size. Customers know precisely how much space they will have and how much it will cost. The container documents all the goods it contains in a clear and precise manner, and it can be shipped to its destination quickly and without issue. The information listed on the outside of each container means that any customs checks to be made are done quickly and efficiently, meaning less delays and a quicker delivery. While most companies use shipping to move large amounts of goods, there is also the option of moving small goods over a shorter distance. Shipping is also the perfect way of transporting precious items such as dangerous liquids, as well as solid products, because of its stability and security. The versatility of transporting goods by ship is one of its biggest advantages. Shipment types include Full Container Loads (FCL) and Less Than Container Loads (LCL) – so whether your shipment is big or small, there is an option to suit every need. Ideally suited for heavy loads which need to be moved over large distances, but in no great rush, shipping is the number one choice when it comes to cost-effective, safe and secure transportation. The world economy is closer than ever and shipping plays an integral role in making the economy tick, bringing in products and raw materials on “mega vessels”, enormous ships with the capacity of move thousands of containers at once. With so many advantages, it’s easy to see why shipping could work for you. There are many options when it comes to reserving containers for your goods, but it’s worth remembering there is a lot of competition between shipping companies for your business. This means a competitive marketplace. Shop around for quotes or better still use a freighting company that has access to many different shipping providers, and they can do the hard work for you. You will get the most competitive price for your load and save time on calling around for quotes yourself. So, the next time you need to move your product, big or small, seriously consider the cost-effective, secure and safe option that shipping provides.